Valentine’s Day is Tuesday, and whether you’re celebrating with date night or indulging in a self love kind of evening, you deserve to eat well, like really well. So, book a night out at your favorite restaurant, indulge in a familiar meal, a little wine, and of course dessert. Go home, feeling full, but satisfied? Not so much. You just had the same night, and same meal that you’ve had a thousand times. So let’s switch it up! Why not try your hand at a home cooked meal instead? Not being a good cook is no excuse, because we had certified holistic chef, Laura Lea Goldberg, put together a fool proof menu below that literally anyone can make. Like what you see, you’re in luck—Goldberg has a cookbook coming out in May with 130 healthy, but delicious recipes. Happy cooking! 1. 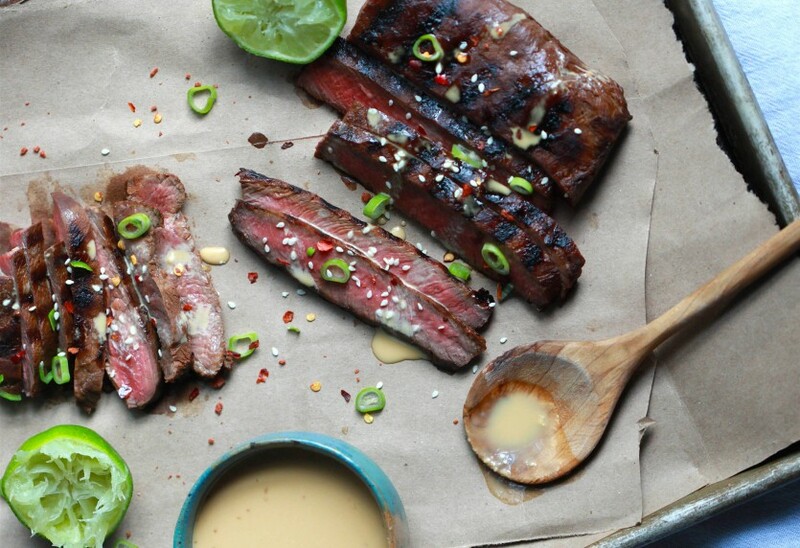 Combine steak, tamari, lime juice, coconut sugar. and garlic in a gallon Ziplock bag and squeeze out excess air. Seal tightly and shake to mix everything together. Refrigerate for 2-4 hours. 2. When meat has finished marinating, heat a grill pan to high heat and brush with coconut oil. When oil is lightly smoking, pull meat out of Ziplock with tongs, shaking the excess marinade off. Discard marinade. Place meat on grill perpendicular to grill marks. 3. Grill steak for 4-6 minutes on each side, or until it reaches desired doneness. For medium-rare, which is how I serve it, I gauge using the finger test: Make a circle with your middle finger and thumb and press the ball of thumb. Steaks with the same soft and springy feel will be medium rare. 4. Allow meat to rest 10-15 minutes before slicing against the grain into 1/4 inch thick slices. Serve with Sesame Horseradish Mayonnaise. 1. In a mixing bowl, whisk ingredients together. Cover and refrigerate for at least 1 hour before serving. To accompany this hearty protein is my Husband Favorite Salad, which has been tested over time and multiple ages, and it is a consistent crowd-pleaser. The classic combination of crunchy romaine, cucumber and tomatoes pairs perfectly with a cooling, creamy dressing. Feel free to play with any toppings you and yours fancy! 1. Combine romaine, tomatoes, cucumber, avocado and optional garnish of choice in a large mixing bowl. Add dressing to taste. Toss to coat and serve immediately. Salad will keep for 24 hours in the fridge tossed with dressing. 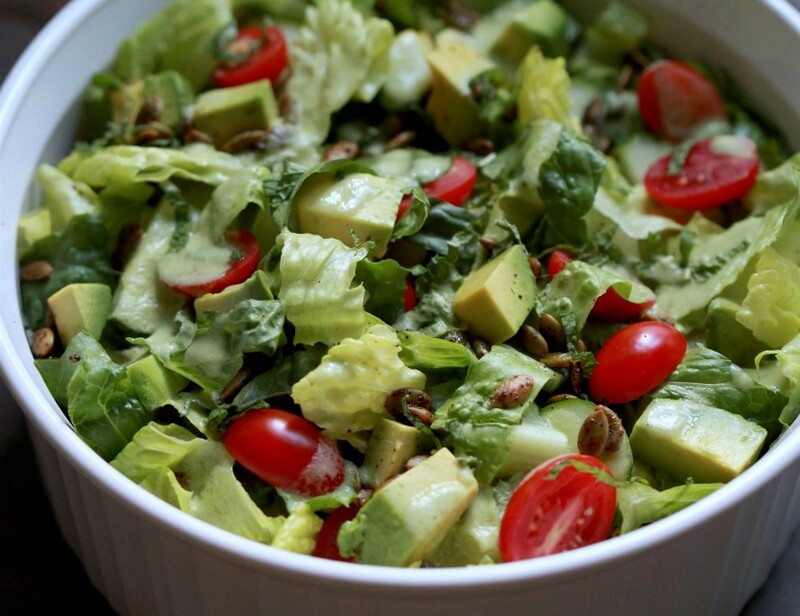 If you don't want to eat the whole salad at once, keep dressing and avocado separate until serving. 2. A tip for keeping salad fresh in the fridge is to cover it with damp paper towels, pressed in around the edges of the greens. 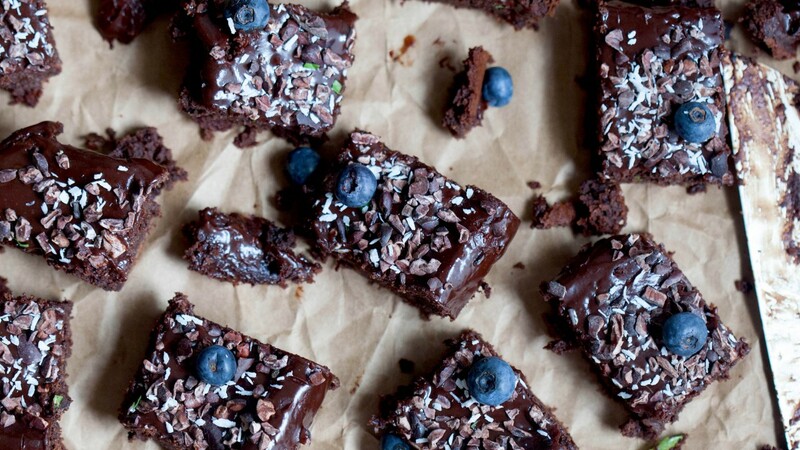 These are my most popular blog recipe to date and for good reason—they’re ridiculously simple to throw together and utterly decadent, despite being gluten-free, dairy-free, vegan and made from whole foods. It doesn’t hurt to top them with vanilla ice cream (I love So Delicious brand for a dairy free option). 1. Preheat oven to 375 degrees F and line a loaf tin with parchment paper, making sure there are at least 5 inches of parchment overflowing on each side. 2. Combine all ingredients except chopped chocolate in a food processor or high speed blender. Puree until completely smooth, scraping down the side as needed. 3. Empty mixture into a mixing bowl and stir in chopped chocolate/chocolate chips. Turn dough into loaf pan and shake gently to create an even layer. At this point, you can trim back some of the parchment but leave an inch or two overhanging. 4. Bake for 50 minutes or until a toothpick comes out with only a tiny bit of batter. 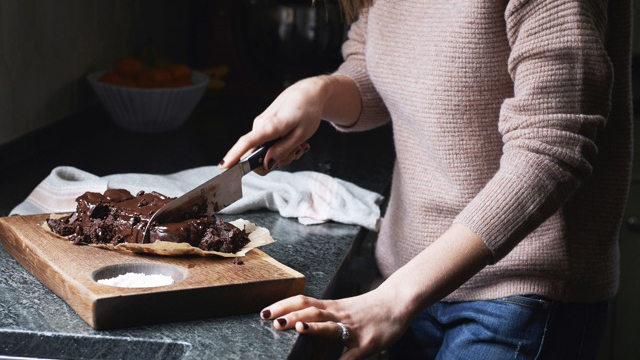 Remove from the oven and allow brownies to cool 45 minutes - 1 hour after baking before slicing.